During her consultation with Dr. Castillo, this 27-year-old woman expressed her dissatisfaction with her "deflated" breasts and loose abdominal skin after pregnancy. Together, they determined that a mommy makeover was the ideal choice for her. Her mommy makeover combined a tummy tuck and breast augmentation at Dr. Castillo's Champaign, Illinois-area practice. She chose 330 cc saline breast implants to add full, natural-looking volume to her breasts. 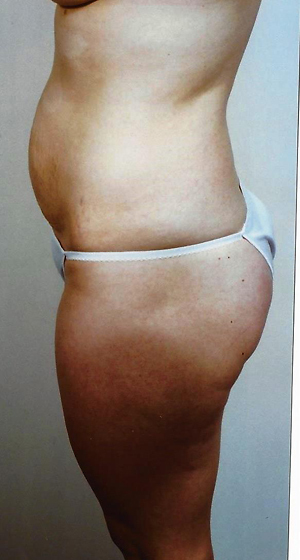 Today, this patient enjoys her enhanced silhouette and is happy to have her "pre-baby" body back.